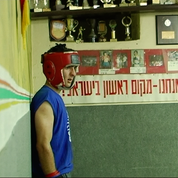 For four years, the camera followed life at a boxing club located in a bomb shelter in a residential parking lot in Jerusalem. The club serves a mixture of people, weaving a tapestry of life in Jerusalem. 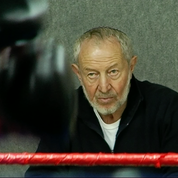 The movie follows four of the young boxers and club manager Gershon Luxemburg as he pushes them to push themselves, and teaches the importance of always treating opponents with respect. Slowly, personal stories unfold, revealing the complexities of life that Gershon and his protégés have to confront. A story about growing up, loneliness and intimacy, heartache and hope, and above all, about finding help where it's least expected.